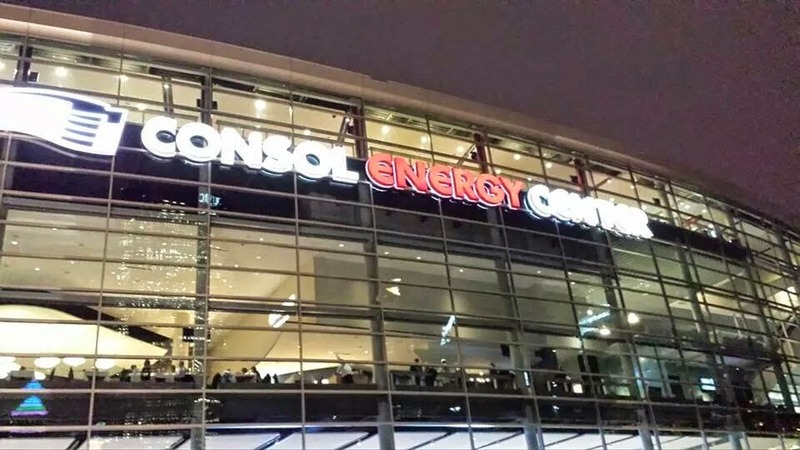 The Pens Hockey Show: We are Almost There! We are halfway through the 2014-2015 season, which means we are getting closer to the playoffs. This time gives us a chance to look back to the beginning of the season. The great numbers, achievements, and record breaking statistics. So, this article is going to be full of numbers. Also, what are my impressions of the team and the new coaching staff? Sit back and relax, as we take a look at the Pittsburgh Penguins season...so far. First, the Penguins are on pace to record 112 points, which would be the second highest total in franchise history (1992-93 season had 119). These points are adding up to wins, which the Penguins have 25 overall. This is just the fifth time in franchise history that they have reached this total at the mid-point. 15 of those wins have been at home, putting the Penguins in third in the National Hockey League (NHL) with such a total. Not to mention, the Penguins are the only team in the NHL to rank in the top ten in wins (25), points (56), goals per game (2.93), goals against per game (2.32), power play (21.6%), and penalty kill (88.2). They also lead the Eastern Conference with a .683 points percentage, making them third in the NHL behind the Anaheim Ducks (.698) and the Nashville Predators (.732). I could go on and on about the Penguins' individuals and their achievements. Every line has been contributing, along with every player. Steve Downie is bringing the toughness, and Simon Despres is showing that he can be an elite defensemen. Kris Letang is having a great year, and is still growing as a player under Mike Johnston, and the coaching staff's new leadership. While in net, Marc-Andre Fleury is achieving career high numbers ( I will have a article to follow later on him). Now, I wouldn't be able to continue on the Penguins' achievements without mentioning the team's two superstars, the Captain Sidney Crosby and Assistant Captain Evgeni Malkin. 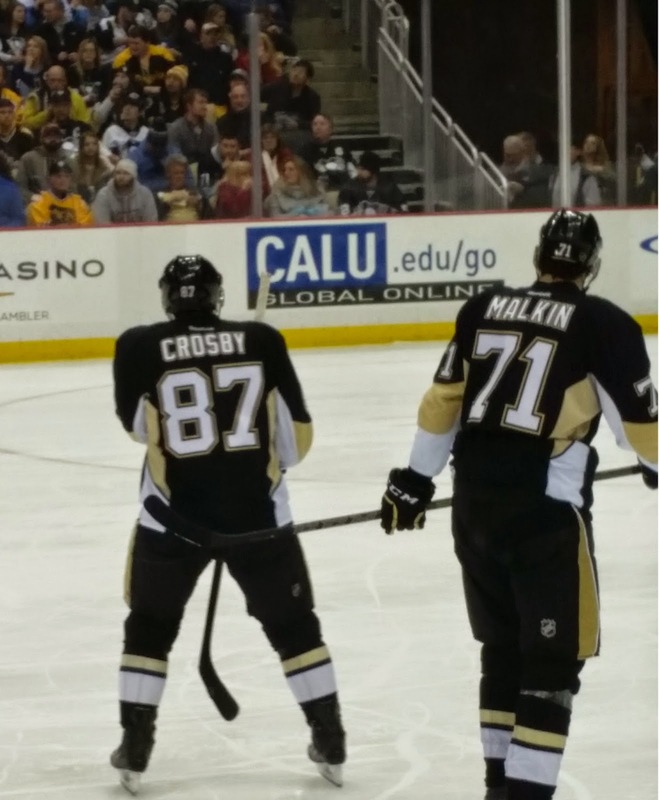 Lets start with Crosby, who has 44 points. He also has a 5-on-5 goals against average per 60 minutes of 1.77, which is in the top 25 in the NHL and puts him as one of the top four forwards in that category. Some say he has been in a slump since coming back from the mumps, but he will be fine. He is the best player in the world and that certainly hasn't changed. Think of it this way, we don't want him to burn out for the playoffs. Everyone can rest assured that he will be fine. Now on to Malkin, who is in the top six in the NHL in numerous categories, which include goals (19), assists (28), points (47), points per game (1.15), and games with a point (31). Next, let's move to the new coaching staff. Under Johnston, the Penguins have a points percentage of .683 and 56 total points, which is a top mid-season mark among first year coaches in team history. So, the numbers show that the new system is working. I was unsure at the start of the season, but he has proven that he is a capable coach. His system, and new style of coaching for the team, has been taken in well. The players are taking in the new style and it's working, but the true test is when the NHL Playoffs begin. Even with the injuries and illnesses, which have seen 35 players used in and out of the lineup this season, the team is winning, and showing their depth in their American Hockey League affiliate, Wilkes Barre-Scanton Penguins. The Penguins need to stay focused for the rest of the season and will only improve as the injured/sick players return to the lineup. Three Cups versus No Cups...You Decide? 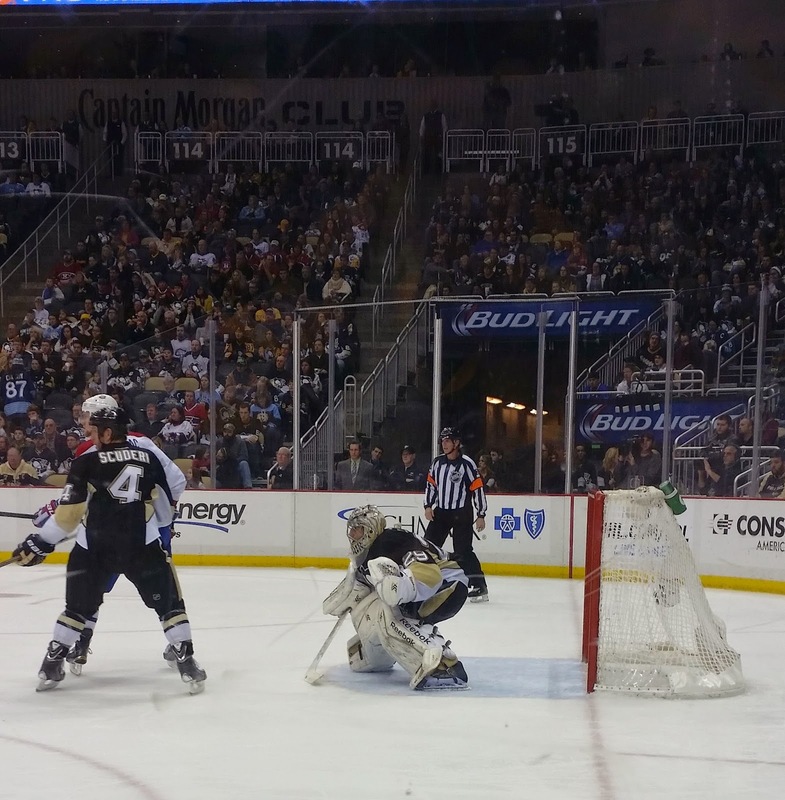 Marc-Andre Fleury a True All Star! A New Player is Thrown into the Mix! Things Could Get a Little Wild!